The start of the World Endurance Championship for 2015 was good enough reason to give up my Sunday lie-in and take an early morning bus up to the Northamptonshire borders. The series has been getting better by the year and the season opener offered the tantalising prospect of a closely fought season between three manufacturers in the headlining prototype category, backed up by a respectable grid across the other categories. As the field lined up in Le Mans formation (a new feature for races in 2015) a hare raced down the grid before darting off in the direction of Brooklands. I don’t know if they are meant to be lucky omens, but if the terrific race we were treated to was anything to go by I would like to see a hare booked for next year! Porsche took the front row of the grid in qualifying and led from the start, but over the six hours the pendulum gradually swung back in favour of the Audi, helped by the early retirement of Mark Webber’s Porsche (#17) with gearbox gremlins and the magnificent tyre management of the Audi prototypes. The battles throughout the field were thrilling, but none more so than that between Fassler and Jani mid-race which saw second place traded backwards and forwards repeatedly for lap after lap. It was exhausting to watch, so goodness knows how it must have felt for the two drivers! The eventual winners were the crew of the number 7 Audi, though not without a last minute scare as they took a late penalty for exceeding track limits. Over the six hours the leading teams completed 201 laps, breaking the previous record of 197 laps. During the race I took a long counter clockwise walk around the circuit with my brother, enjoying those moments where the wonderful commentary aligned perfectly with what we are seeing immediately in front of us. We were never alone in our wanders, unlike some previous years, reminding us of just how well the race was attended (around 45,000 over the weekend). I was glad that the forecasts of a dry race were largely correct as I had no desire to repeat the race shortening drenching of 2014, though the wind was pretty gusty throughout and made every layer a necessity! Overall, this was a marvellous race and testament to the excitement of endurance racing. The next race in the championship comes from Spa on 2nd May. I wonder if it can live up to today’s race!? In the nineties I made fairly regular trips to three of the motor racing circuits within easy reach of London – Brands Hatch, Silverstone and Donington Park. 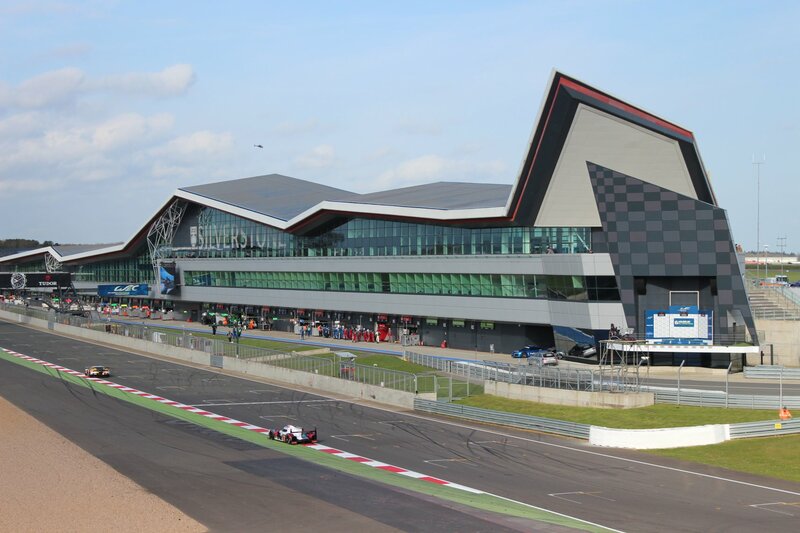 I loved each circuit for different reasons, but my strongest emotional attachment was to Silverstone, where I got my first taste of live motorsport at the second round of the Sportscar World Championship in 1992. The thrilling sight of Group C cars rounding the corner at Woodcote for a rolling start remains firmly imprinted in my brain. My first love was always sportscar racing, though my timing was lousy – I got hooked on the incredible spectacle of Group C sportscars just as that era was coming to and end (although what an end, with the gloriously sleek and stylish Peugeot 905s). The first few years that followed were relatively lean for any fan of prototype sportscars, apart from the annual high point of the Le Mans 24 hours. Over the years since then there has been plenty to be excited by in the world of sportscar racing, but the re-establishment of a world championship in 2012 was a real turning point for me. After two years of dithering, the prospect of a three way battle for prototype honours in the opening round of the third season of the World Endurance Championship finally lured me back to a windswept stretch of the Northamptonshire countryside for only the second time in about fifteen years (the previous occasion coincided with the arrival of the Peugeot 908 HDi FAP sports prototype racing car in 2007). The chilly temperatures saw me gradually accumulate more and more layers to combat the cold, windy and damp conditions – putting on my very best impression of a michelin man with two jumpers, two jackets, jeans and waterproof over-trousers. It was undeniably worth it for the sight that awaited us – two Audi R18 e-tron quattros, two Toyota TS040 Hybrids and two Porsche 919 hybrids. 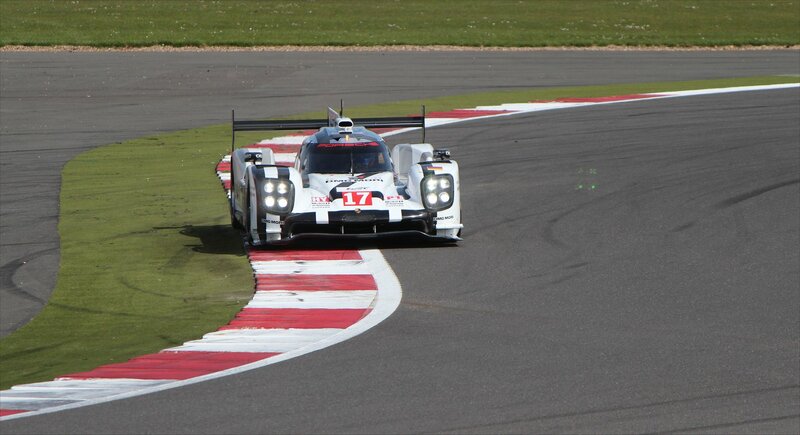 The debit of the Porsche 919 Hybrids was eagerly awaited by all and did not disappoint. It is a very different circuit that I returned to, with the whole axis shifted towards Club and the new pit complex (2011) since my last visit. It was really strange to see what had been the quieter end of the circuit looking so much busier, particularly with the addition of two shuttle bus routes to help spectators get around. Amongst all this change, I was relieved to see that the opportunities for photography all around the circuit were still pretty decent. Don’t get me wrong, I love the racing but adding the challenge of taking photographs just completes it for me and saves me from sitting around on a grandstand seat for 6 hours plus! The race started promisingly with the number one Audi, piloted by Lucas Di Grassi, harrying the lead Toyota on the opening lap. This set the tone for the next hour with some good battles to enjoy between the Audi and Toyota teams until the rain intervened. The barriers claimed the slick-shod no 1. Audi before the first hour was up and although it was able to limp back to the pits it ultimately had to retire. It was not a good day for Audi with the second car ending up deep in the gravel with suspension damage around half-way through the race – a somewhat unusual Audi wipeout. Toyota had looked dominant throughout the weekend and now brought their cars home to a 1-2 finish (with Porsche taking an impressive third on their first outing). The race was brought to an early close by heavy rain that began to fall just before the start of the final hour. It certainly looked grim on the track by the time the red flag came out. Most of us in the grandstands would soon discover just how bad the conditions were as we attempted to skirt the newly formed lakes in the spectator zones. My many layers saved me from the worst of the weather but many other spectators were absolutely sopping wet by the time they made the short dash back to their cars. Over the six hours of the race I completed a very slow circuit of the track, giving me a wonderful opportunity to savour the spectacle from every angle. I don’t think it could be described as a classic, but it was a decent race. More than anything, it was great to see Porsche back in the top flight of sportscar racing with their 919 hybrids.